We have recently been enjoying the music of a pair of sisters from Sweden who call themselves First Aid Kit: Johanna and Klara Söderberg, who are aged 21 and 19 respectively, and have just released a terrific new album called “The Lion’s Roar.” They performed at a sold-out concert in New York this week and have been touring the U.S. after hitting #1 on the Swedish pop charts. The Lion’s Roar is very folk-country, and has lyric allusions as well as musical homages to Emmylou Harris, Gram Parsons, Johnny Cash, June Carter, and other American country and indie voices. Hailing from a suburb of Stockholm, this sister act’s 2008 YouTube video cover of the song “Tiger Mountain Peasant Song” by Fleet Foxes went viral and made them well-known if not famous among indie music fans around the world. Fleet Foxes then invited the Söderberg sisters to perform the song at a Fleet Foxes concert in Holland. Although it has been years since ABBA loomed large on the global pop charts, Swedish musical performers are once again becoming an export item…almost as significant as Swedish noir crime writers. See our past blog item on this subject here. If Stieg Larsson were alive today and finishing his fourth book, we wouldn’t be surprised to find a reference or two to these phenomenal young female singers from Sweden. 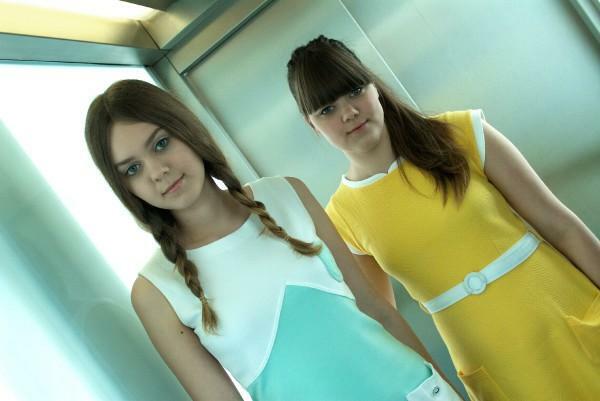 For more about First Aid Kit visit their website. This entry was posted in Media, Other and tagged Emmylou Harris, First Aid Kit, Fleet Foxes, Gram Parsons, Johanna Soderberg, June Carter Cash, Klara Soderberg, Stieg Larsson, Sweden, YouTube. Bookmark the permalink.